Gamification is a very misunderstood concept, mainly because we don’t normally associate games and fun with learning. Although definitions vary, gamification can best be described as the integration of gaming elements to non-gaming situations. It is not being allowed to play some games on the computer or iPad once you’ve finished your regular work. It is more about creating a race between teams of students to determine who can solve problems faster, or which team can solve a BreakoutEDU “escape room’ puzzle faster. It is the addition of game-like elements — such as rewards or badges — that engage students to do more than just slog through a lesson or project for the sake of getting it done. The gamification elements become their own challenge, and drive learning to a deeper level. Adding these elements to general subjects gives the students and extra hook to help them learn. Taking it a step further, teachers can develop whole games or simulations to help drive learning in the classroom. This is not a new concept, as classes have been taking part in investor challenges to learn about Wall Street, or run pretend stores as part of classroom activities for decades. 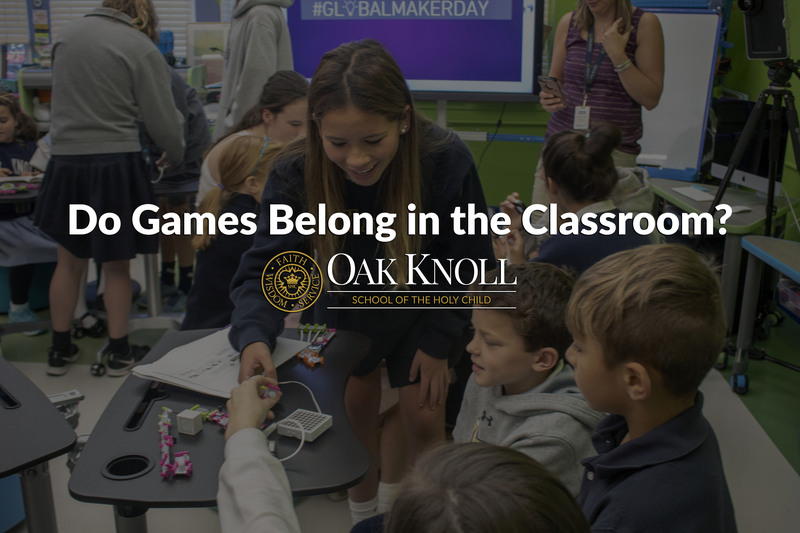 This game-based learning allows for complete immersion into the topic at hand, giving the students the ability to fully examine and question the learning that is taking place. This type of learning requires even more planning and coordination, but can develop some of the best unintentional lessons as students progress through the challenges. In my own experience through classes, clubs and teams, it is almost always easier to rally a group of students around a challenge or competition than it is to just try to teach the material dry. That extra level of challenge — be it against a standard, a clock or their classmates — really changes the perspective from a “do we have to do this?” to a “let’s do this!” mentality. Many times, when we see students having fun or playing games, we question whether or not learning is taking place. We need to remember that sometimes the best learning takes place when we don’t realize we are being taught, and we can’t imagine not having fun while doing it.